Hello friends! I am so incredibly excited to share today’s post with you, so much so that I put it together on Sunday night, which is something I never do LOL. 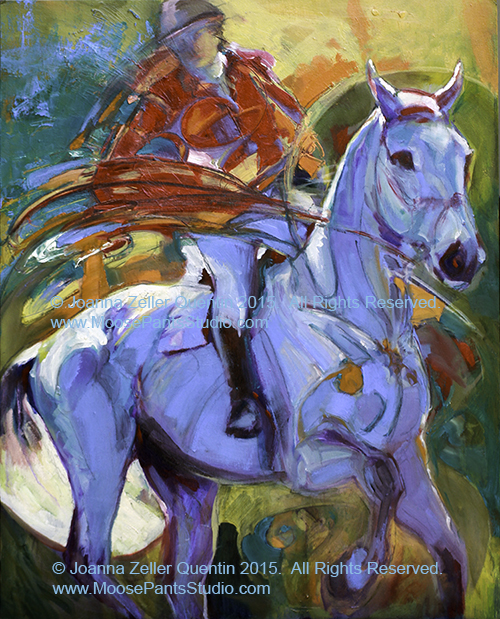 When I was boarding at a barn in Dallas a few years ago, I had the good fortune to meet one of the most talented artists I have ever known, Joanna Zeller Quentin. Not only does she have more talent in her little finger then most have in their whole body- she is incredibly kind, funny, and an excellent horsewoman. I am beyond excited to share this Q&A with all of you, as her work is truly awe-inspiring and I have admired it for many years now. Enjoy!